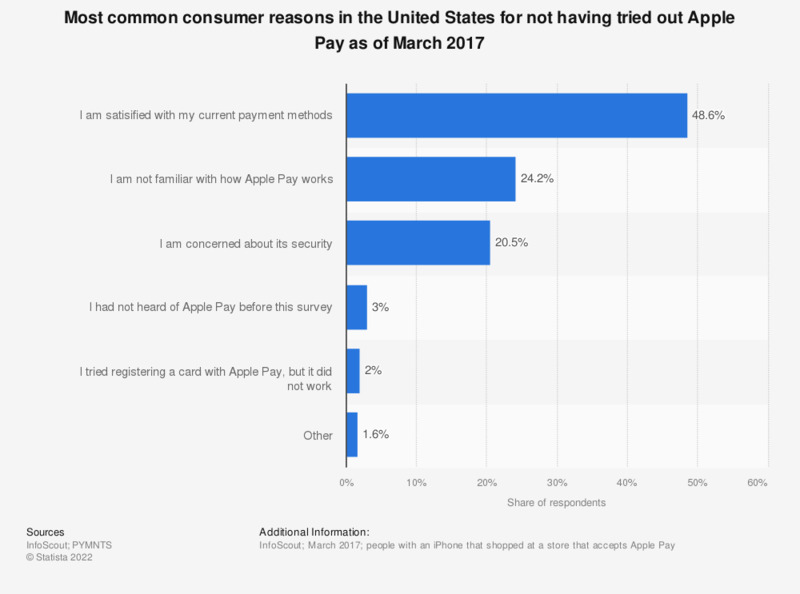 This statistic presents the most common reasons why consumers in the United States have not tried out Apple Pay yet. As of March 2017, 48.6 percent of respondents were satisfied with their current payment methods and did not see the need to use Apple Pay. No further methodology was offered by the source. Source did not provide sample size, age group, or survey type.